I’ve just completed a Data Governance Assessment and review of Informatica CLOUD MDM(formerly Data Scout for Salesforce) with my colleague and excellent Solution Architect Baliji Kkarade . The client in this case is interested in implementing Informatica CLOUD MDM in Salesforce , as a tactical approach to improving Data Quality and incrementally improving Data Governance . I’d like to aknowledge the incredible insight I gained from Balaji Kharade in this effort. In general and product is positioned to provide a transactional MDM within Salesforce. We will cover the steps for implementation and some back ground on Fuzzy Matching or de-duplication. We will walk thru the steps for setting up the tool. This post assumes familiarity with the Saleforce architecture. Cloud MDM master on/off switch is configured using this setting and other settings like extracting the legal form and domain , overriding Salesforce Account information using Master bean after Match and Merge in Cloud MDM, and Standardizing Country. 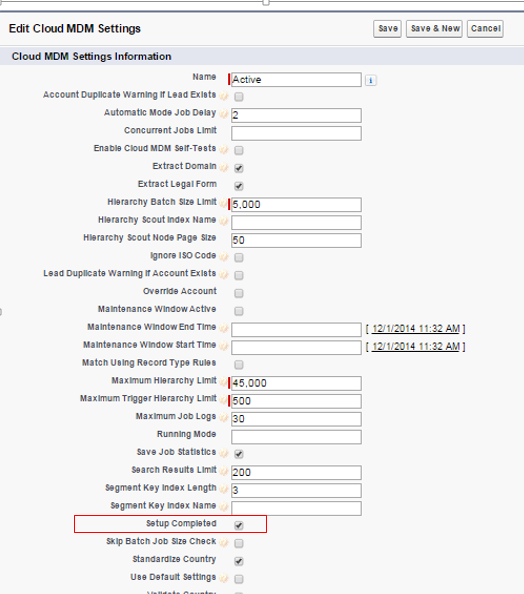 In some cases, you may wish to turn off Cloud MDM after you have installed and configured it. For example, if you wish to bring in a new set of data without creating beans. To achieve this, you need to switch Cloud MDM off. 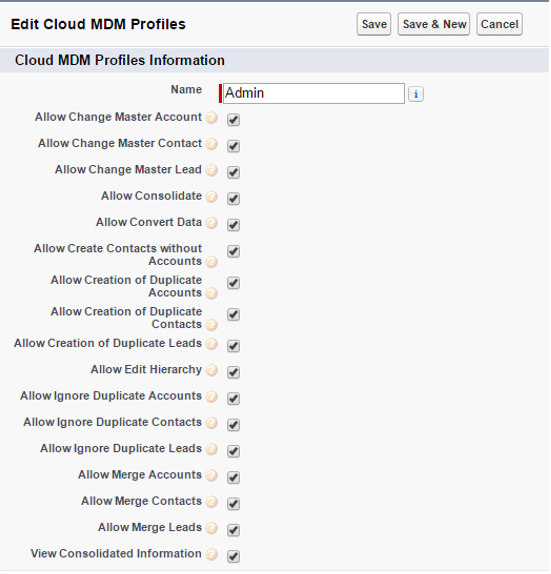 When Cloud MDM is installed, a default profile is given to all users. In order for your user to get access to all the features of Cloud MDM, you must configure an admin or super user profile. When you implement Cloud MDM, you can use profiles to assign MDM functionality to Salesforce user profiles. 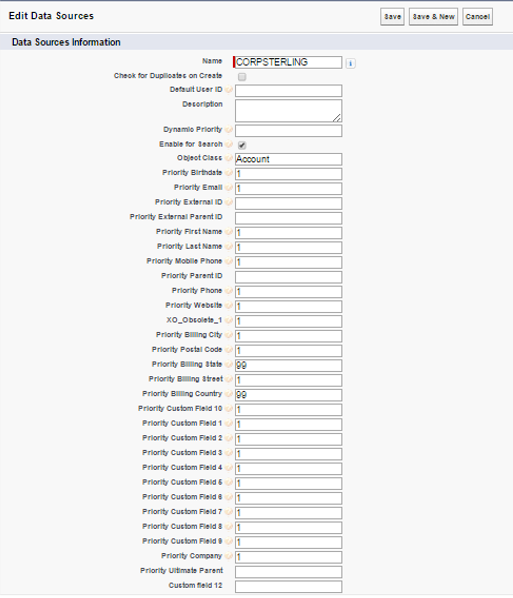 Helps to add MDM related components like Consolidated view, Find duplicates, MDM related fields like Synchronize, Legal forms, ISO country ,duplicate Account section, Related beans and Master Beans etc . 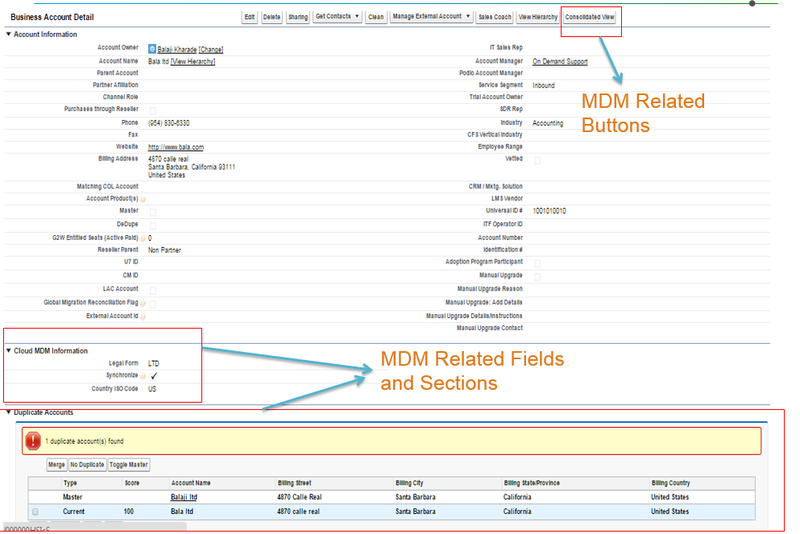 This setting helps in Synchronizing/Mapping the Salesforce Attributes to Cloud MDM stage Area. We can map Standard fields and 10 custom fields. 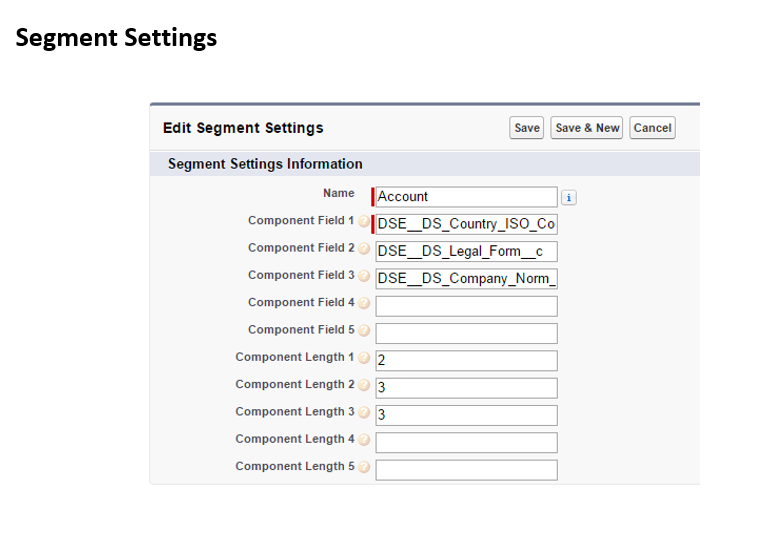 These standard and custom fields help us in configuring segment settings and match strategy in cloud MDM. 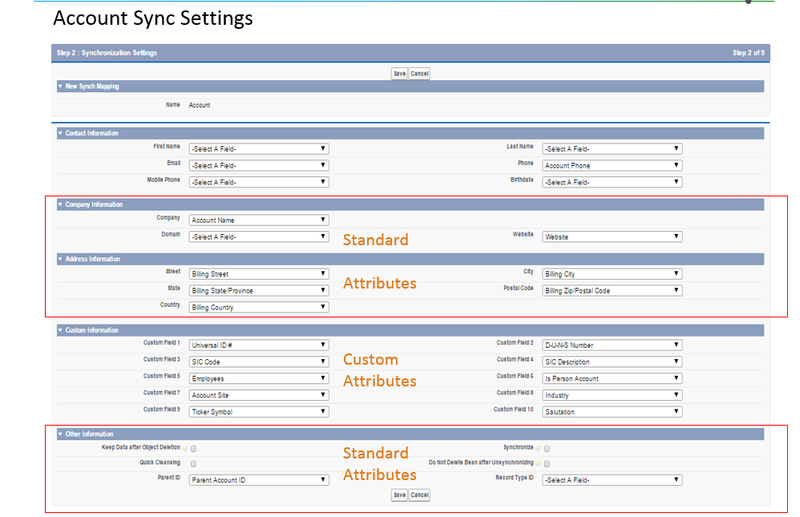 Sync job helps creating beans and Master beans in cloud MDM stage Area. Data cleansing ensures the data is in a consistent format. Consistent data improves the quality of reporting and also improves matching results and the accuracy of duplicate detection. Legal form normalization is the process of extracting the legal form from the company norm and populating the legal form field with normalized data. For example, We can configure the legal form field to contain normalized data for business entity designations such as Limited, Ltd., and L.T.D. We can add legal forms to the list available already after profoiling our data set. We can enable Cloud MDM to populate the domain field with a domain extracted from the website field. Cloud MDM uses the domain field during fuzzy matching. For example, if a user enters http://www.acme.com/products or www. acme.com in the website field, Cloud MDM can populate the domain field with acme.com. normalized domain ensures domain field consistency and improves match results. The segment field in the master bean record contains a matching segment. 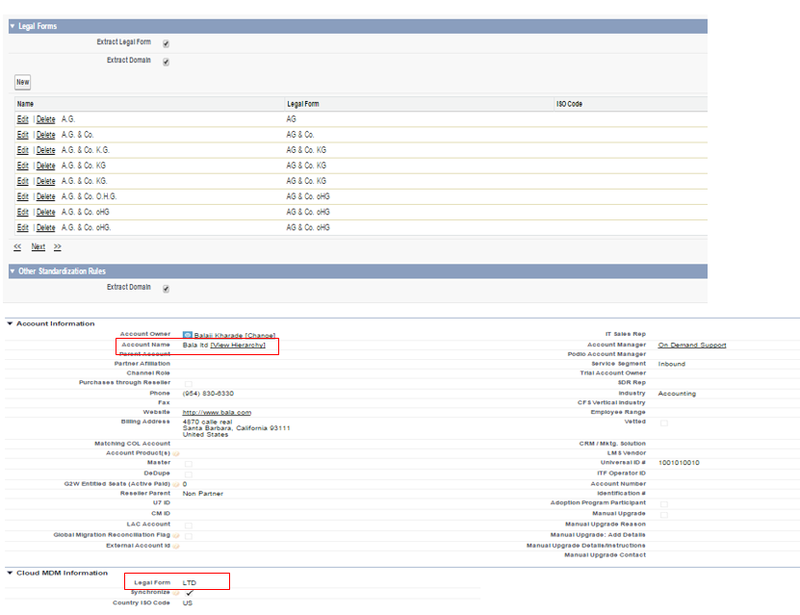 The matching segment is a string of characters that Cloud MDM uses to filter records before it performs fuzzy matching. To improve fuzzy match performance, Cloud MDM performs an exact match on the matching segments to eliminate records that are unlikely to match. Cloud MDM then performs fuzzy matching on the remaining records. This can be basically creating Categories and Groups in Advanced Fuzzy Matching or “Blocking Indexes” Record Linkage. This will be created for all the Accounts once the Sync between Salesforce and MDM is done. It is also generated for external beans. Fuzzy matching can match strings that are not exactly the same but have similar characteristics and similar patterns. 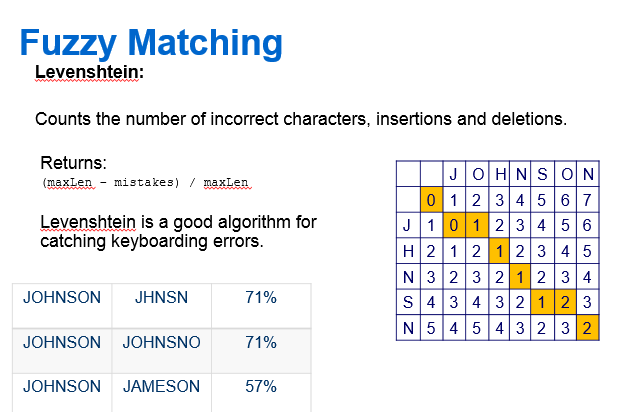 Counts the number of incorrect characters, insertions and deletions. Matching is a two step process that determines a match score between two records. First, Cloud MDM performs an exact match on the matching segments to exclude records that are unlikely to have matches. Then, Cloud MDM performs a fuzzy match on the remaining records to calculate a match score between pairs of records. If the match score of the two records achieves the match score threshold, Cloud MDM considers the two records a match. We have external data in a system, such as SAP or Oracle EBS. We wish to load this data directly into beans, so we can take some of the information (SIC Code, No of Employees.) from the SAP record, and retain some information (e.g. Company Name) from the Salesforce record. This setting allows us to configure the external Data source and defining the trust/priority score i.e. which value will win over the other during Consolidation and Enrichment process. The consolidated view allows us to look at all beans associated with a master bean. In order to use this view, we must configure the fields that will display in the list of associated beans, as well as the account address information. This is done by configuring field sets. This setting allows us to over write the value from the Master bean to the Salesforce Org Account based on the trust/priority score provided during the configuration of the external Data source. We can use the override account option in cloud MDM settings to prevent the automatic override of the Salesforce Org Account accordingly. 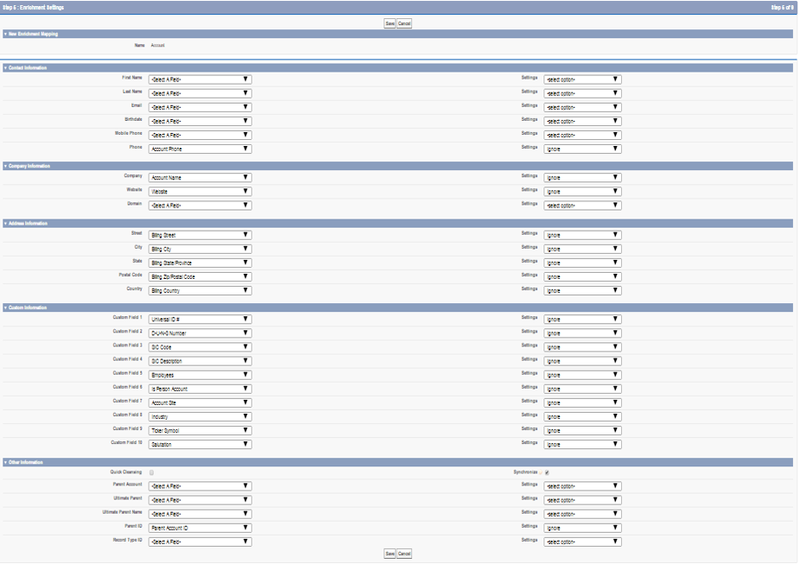 Custom Fields are limited to 10 and only 6 can be used in syncing. High volume matching from External Source is completed in a “Pre Match” process, which is basically accessing the “Master Bean” externally and developing ETL Process with another tool. 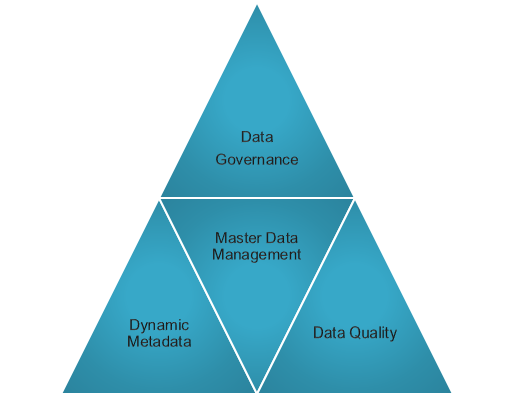 This entry was posted in Data Governance, Fuzzy Matching, Guerilla MDM, Guerilla MDS, Mdm, Uncategorized and tagged blocking index, fuzzy grouping, fuzzy match, Informatica, Informatica Cloud MDM, MDM. Bookmark the permalink.